The Emory University Department of Medicine Renal division is acknowledged nationwide as a center for teaching excellence. Our faculty consistently wins teaching awards within the Emory University Department of Medicine and Emory University School of Medicine. Clinical teaching is conducted in the hospital and outpatient clinical setting at five Emory University-owned or affiliated hospitals. Further, a large and varied patient population provides fellows with stimulating and often unique training opportunities. The Division of Renal Medicine offers training in renal ultrasound, interventional nephrology as well as a one-year Transplant Nephrology Fellowship. The Nephrology (Renal Medicine) Fellowship training program provides comprehensive training in clinical nephrology and research in areas related to normal physiology and diseases of the kidney. Our mission is to train outstanding clinical nephrologists and renal physician-scientists who will become the next generation of leaders in the field of nephrology. The Nephrology Transplant program is designed for nephrology fellows who have completed training in general nephrology and wish to pursue additional training in transplant nephrology. The goals of the program are to give the transplant fellow training and experience in end-stage renal disease, training in the selection of appropriate transplant recipients and donors, clinical experience in the immediate and long-term care of the transplant recipient, and training in the performance of renal transplant biopsies along with emphasis on the management of immunosuppressive agents and the evaluation or renal transplant dysfunction. Coding, billing, reporting, and equipment. No prior training or experience required. More information on the Ultrasonography for Nephrologists Course. The Emory Division of Renal Medicine offers CME-certified training programs in Renal Sonography for external physicians. These five-day programs run from Monday through Friday, and prior attendance of the Ultrasonography for Nephrologists Course is a prerequisite. Only one trainee is taken each week, and he/she joins the ultrasound service performing ultrasound studies. Fellows will also participate in the daily reading and generation of reports, operation of the database, coding and billing. An extensive teaching file is available for study. Opportunities to participate in general nephrology rounds and transplant nephrology rounds are also available. More information on the Mini-fellowship in Renal Sonography. NOTE: The Ultrasonography for Nephrologists Course is a prerequisite for the Mini-fellowship in Renal Sonography. The Emory Renal Research Internship Program (RRIP) provides a unique opportunity for qualified medical, undergraduate and post-graduate students to receive valuable experience in basic, clinical and translational research. The program’s goals are to expose interns to various elements of research and provide them with hands-on experience in the conduct and administration of basic science and clinical research studies. Interns will work directly with experienced investigators, research coordinators, and nephrology fellows to gain experience in all aspects of research including animals, human subjects’ safety, data analysis, research ethics, and regulatory requirements. 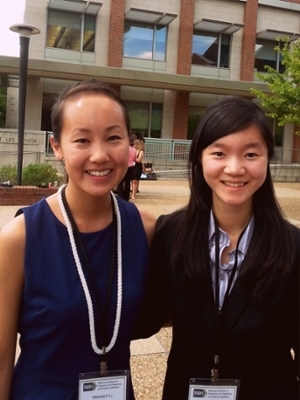 Learn more about the Emory Renal Research Internship Program (RRIP) program. Please download the Application to apply for the Emory Renal Research Internship Program (RRIP)! Emory's Division of Renal Medicine offers the Summer Undergraduate Program in Emory Renal Research (SUPERR) for students looking to pursue a career in renal medicine research. SUPERR provides a research and didactic experience in the study of kidney, urology, and hematologic diseases among undergraduate students. 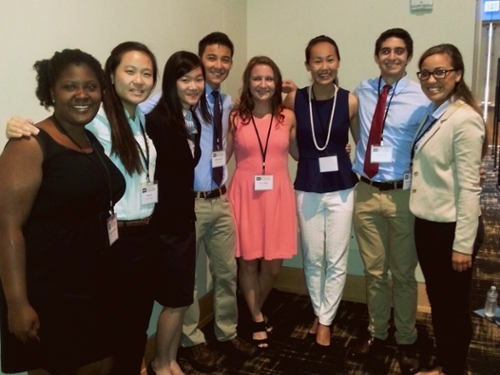 Following a national recruitment process, selected students will participate in 12 weeks of didactic and laboratory or clinical research at Emory, culminating with participation in the National Institute of Diabetes and Digestive and Kidney Diseases (NIDDK) Summer Student Research Symposium at a location in the United States. To learn more about SUPERR, click here.